Albert Sidney Johnston was born in Washington, Kentucky, on 2nd February, 1803. He was educated at the U.S. Military Academy at West Point in 1826. 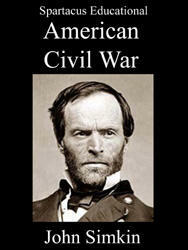 He left the United States Army to join the army in Texas where he became chief commander and secretary of war. 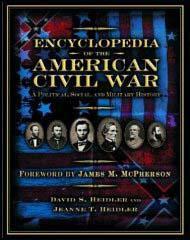 Johnston returned to the United States Army during the Mexican War (1846-48) and in 1857 President James Buchanan sent him to Utah with federal troops to remove Brigham Young from power. Johnston commanded the Department of the Pacific until the outbreak of the American Civil War. Commissioned as a general in the Confederate Army in May, 1861, he was given command of all troops west of the Alleghenies. In April, 1862, Johnston and Pierre T. Beauregard reunited their armies near the Tennessee-Mississippi line. With 55,000 men they now outnumbered the forces led by Ulysses S. Grant. 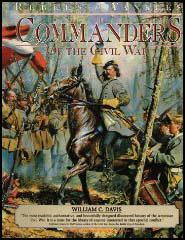 On 6th April the Confederate Army attacked Grant's army at Shiloh. 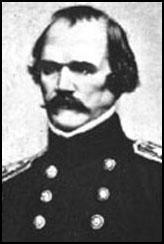 Taken by surprise, Grant's army suffered heavy losses until the arrival of General Don Carlos Buell and reinforcements. During the fighting on 6th April, 1862, Johnston was hit in the leg by a bullet. Albert Sidney Johnston ignored the wound and continued fighting until the heavy loss of blood led to him losing consciousness and bleeding to death. This was a terrible blow to the Confederate Army. The leader of the Union Army, General Ulysses Grant, later stated: "his contemporaries at West Point, and officers generally who came to know him personally later and who remained on our side, expected him to prove the most formidable man to meet that the Confederacy would produce." General Albert Sidney Johnston, who commanded the Confederate forces at the beginning of the battle at Shiloh, was disabled by a wound on the afternoon of the first day. This wound, as I understood afterwards, was not necessarily fatal, or even dangerous. But he was a man who would not abandon what he deemed an important trust in the face of danger and consequently continued in the saddle, commanding, until so exhausted by the loss of blood that he had to be taken from his horse, and soon after died.